So much more than just a CRM, our platform covers the vastness of advertising business needs. Get the monotonous tasks off your team's plate and allow them to do what they do best. Empower your sales team with prospecting, follow ups, forecasting, proposals and so much more. Ad Sales Genius was built from the ground up to support all types of advertising sales and the industries that support them. The result is a cleaner, easier-to-use interface than the CRM you now use, with robust customization options that allow our software to adapt to the processes your company already has in place. Our sophisticated publishing tools make it easy to plan your magazine and even automatically place assets in Adobe InDesign. Our powerful plug-in streamlines publishing processes including digital asset management and auto-layout book generation. 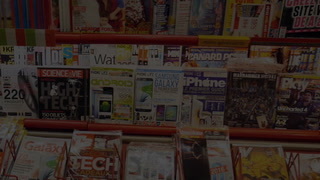 Ad Sales Genius supports a wide variety of publishing including: newspapers, magazines, journals and coupon books. Manage all of your inventory in a single place. Set group rates, individual rates and more to make selling a breeze. Connect your digital players direct to serve ads seamlessly from a centralized system with full metrics tracking and automated billing. Built to sell more than just static billboards. Manage digital players, event venues and more. Fully configurable to your business needs. Manage and track sold sponsorships. Everything from presenting sponsors to individual items such as lanyards, t-shirts and more! Layout and manage your expos' floor plan and available inventory in a single place. Enable your team to book sales with a click of a mouse. Enable your customers to view and purchase exhibit space online. Plus allow your customers to upload any files and fill our any required forms. Book inventory directly on from your ad server, manage artwork & automate billing. Your ad trafficking can now be fully automated. Connect your contracts directly to your ad server and manage every aspect of your sales. Automatically pull ad reports for impressions and clicks. Tracking what position is open in which newsletter just got easier. Our calendaring system will track your entire schedule of digital inventory. Selling those time slots just got easier. With our calendaring system will track your entire schedule of inventory. Our automation platform is deep and far-reaching – accommodating the intricacies of modern businesses.